You need your apparel order fast. The order minimal. You might have your digital artwork ready. It couldn’t be easier to see your finished product within a couple of days. Let us show you how easy it to walk out with the perfect apparel with friendly service, your project prioritized and your stakeholders thrilled — the kids, the team, your staff, whoever they may be. Ready for Digital Print Apparel? Scroll down to learn how EASY it is. Digital printing is perfect for proofing or short runs. No setup fees or additional costs per color. The power of HD digital printing is combined with a thin heat-sensitive and super soft apparel vinyl to produce stunning graphics for short run apparel. Our process produces brilliant colorful graphics regardless of the apparel color, and is pressed at over 300 degrees to assure adhesion and durability. 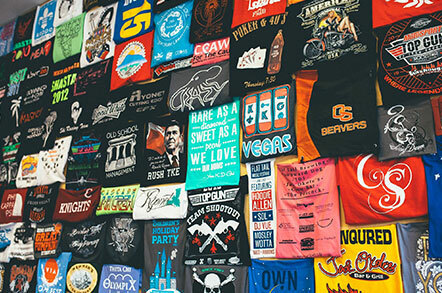 Digital printing is more cost-effective when you’re doing between one and 12 shirts, because there are no setup fees or additional costs per color, so digital printing is perfect for proofing or short runs because the set up time as low as is the cost of labor. We are eager to talk to you about your project and/or receive your order. Contact us at any time or get started now by uploading your artwork files or requesting an apparel quote. Looking to print more than 12 items? 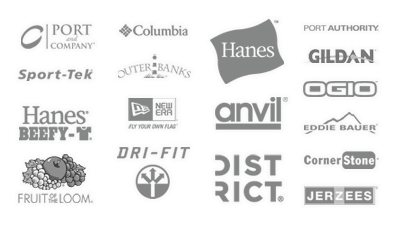 Check out our exhaustive range apparel choices waiting for your design!